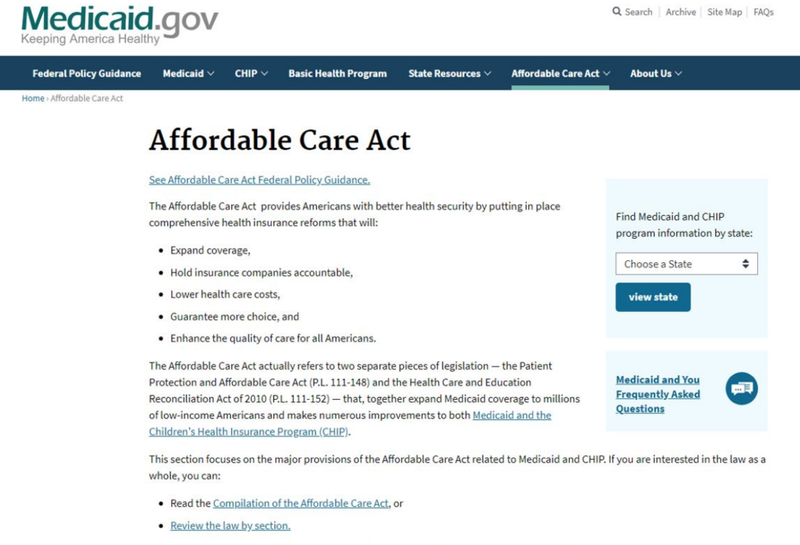 Since at least December of 2011—the oldest snapshot that exists on the public Web archiver the Wayback Machine—Medicaid.gov prominently featured a tab labeled "Affordable Care Act" at the top of the webpage. 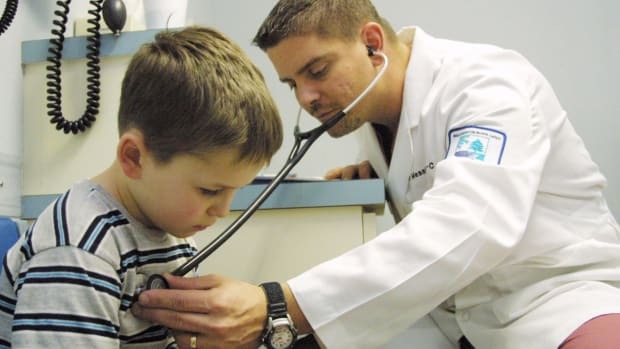 The tab linked to a bank of webpages describing how the legislation improved eligibility and overall benefits for Medicaid. But those pages disappeared sometime last month, according to work from the Sunlight Foundation&apos;s Web Integrity Project, which automatically tracks changes to .gov websites. "That&apos;s really indicative of a shift in how the agencies are deciding to present the information," says Toly Rinberg, director of the Web Integrity Project. The Centers for Medicare and Medicaid Services didn&apos;t respond to questions about the reasoning behind the removals. The Trump administration—mirroring the Republican Party—has made no secret of its displeasure with the ACA, which the president has called "disastrous," and the cause of "higher costs and fewer options." Through much of last year, congressional Republicans tried many plans to repeal the ACA. Though their efforts failed, the White House has since taken steps to weaken the law, including repealing the "individual mandate" requiring all Americans to have some health insurance or pay a penalty. 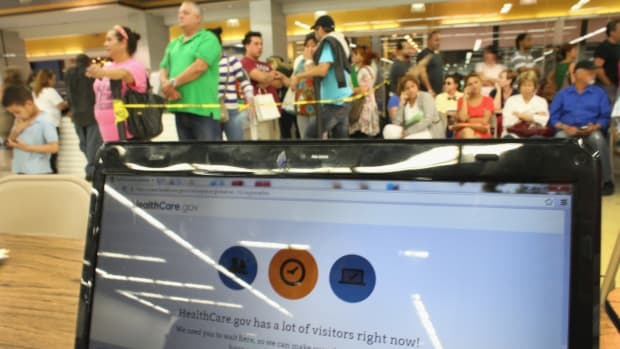 Just a few days ago, following a court order, the Trump administration stopped giving health-insurance companies certain payments meant to help stabilize the ACA market. 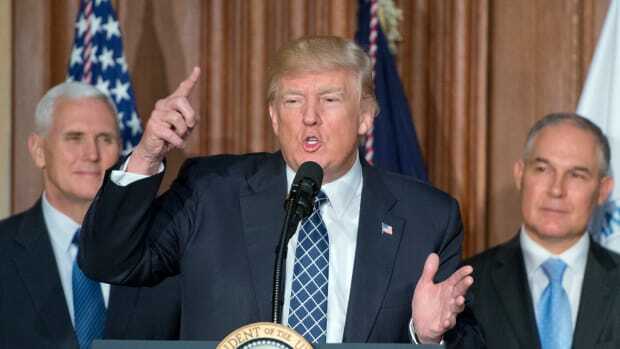 "They couldn&apos;t repeal it in one fell swoop, so I think the administration is taking whatever actions they can to degrade it," says Peter Cunningham, a professor of health policy at Virginia Commonwealth University. 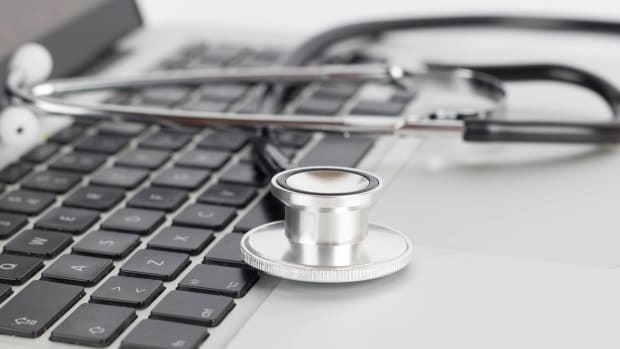 "This issue about the website, I think that&apos;s probably a very small part of a much larger effort to diminish and degrade the Affordable Care Act." Cunningham points out that Medicaid is largely a state&apos;s responsibility; Medicaid users can still find the information they need through their states&apos; websites. So the Medicaid.gov changes, he says, were ultimately "more symbolic than practical." Though various mentions of it have disappeared from government webpages, the Affordable Care Act remains in effect. 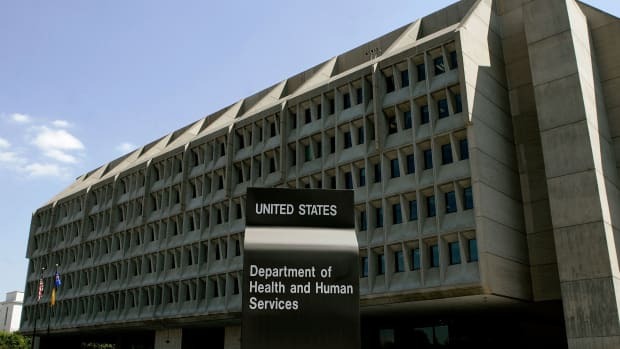 Advocacy groups worry that the language removals might foreshadow new policies from the Department of Health and Human Services.